Please allow 45 minutes for your first visit. You'll be asked to complete a briefhealth history form that will help us understand your condition. Feel free to follow the link below to print and complete the form prior to your first visit. We will gather more information to determine if your problem is likely to be helped by chiropractic care. Physical, orthopedic, neurological and chiropractic tests help us further identify and diagnose your problem. X-rays are only taken if determined to be necessary for diagnostic purposes. We can also request x-rays taken elsewhere. 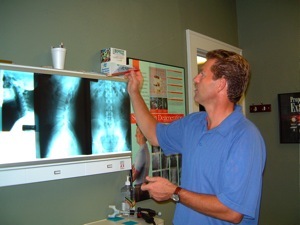 Our office does not require x-rays in order to be treated but we will recommend them if we feel it is necessary.